A quick perusal of the major feast days on Orthodox Church’s liturgical calendar will show that many of those great feasts are not mentioned in the Scriptures. The Nativity of the Theotokos (Sept. 8), the Entrance of the Theotokos (Nov. 21) and the Dormition of the Theotokos (Aug. 15) are all not based on events found in Scripture. Neither is the Elevation of the Cross (Sept. 14), though one could of course note that it references the crucifixion. But that’s not what the feast actually commemorates. (Rather, it commemorates later historical events associated with relics of the cross.) And almost all of the lesser feasts of the Orthodox Church are extra-Scriptural in origin. Someone who encounters Orthodox worship for the first time and comes from either a non-Christian or non-liturgical Christian background (especially Protestants) may wonder why it is there are so many celebrations that are not found in our “holy book.” This may be a stumbling-block particularly for Protestants, who are used to finding a basis for Christian practices in the Scripture. “You’re celebrating the Virgin Mary’s birthday? You say she did what in the Temple at three years of age?” Such feasts may seem extraneous or even worrying. Do you really have to believe all those things to be an Orthodox Christian? Of course, the other great feasts—Christmas, Theophany (the Baptism of Christ), the Meeting of Christ in the Temple (His being brought to the Temple at forty days old), the Annunciation, Palm Sunday, Pascha (Easter), the Ascension, Pentecost and the Transfiguration—all are celebrations of events depicted in the Bible. But the Bible doesn’t say anywhere that Christians should celebrate any of those events. And most Protestants don’t actually celebrate most of those events. With only a handful of exceptions, though, they do celebrate Christmas and Easter. (Indeed, there are some impoverished Christians who celebrate only Christmas and Easter and otherwise dedicate their time to other pursuits.) Yet neither Christmas nor Easter is commanded to be celebrated in the pages of the New Testament. Indeed, while there are many feasts commanded for the Jews in the pages of the Old Testament, no feast day at all is commanded for Christians in the New Testament. The closest we get is Christ’s “Do this in remembrance of Me,” which doesn’t necessarily suggest a holiday in commemoration. There are certain groups, such as the Jehovah’s Witnesses, who take that lack of commandment to be a prohibition—so, no Christmas. That’s kind of a bummer, but you have to admire their consistency in not celebrating Jesus’ birthday. In fact, they don’t celebrate any birthdays. So what are we to make of all this? Should we all just imitate the Jehovah’s Witnesses, who find no holidays in the Bible (setting aside the fact for the moment that their Bible is a bit different from most other people’s)? That’s a tempting position, but taken to its logical conclusions, we would have to cut out a lot else that’s not in the Bible, not just feast days, and not even the Jehovah’s Witnesses would be able to stay as they are. There’s nothing in there about calling your gathering places “Kingdom Halls,” for instance. And most Christians would have to gut most of their worship, their education, their outreach, their social events, their structure, etc. Yes, you should feed and clothe the hungry, but where in the Bible does it say anything about ringing bells next to donation buckets at Christmastime? Yes, you should break bread together, but where does it say to have fried chicken potlucks? Yes, you should continue in the Apostles’ doctrine, but where does it say to have a Bible study? Yes, you should gather together, but where does it say to have a 25th anniversary celebration for your congregation? One may object that these are all reasonable inferences from what is in Scripture or at least don’t contradict anything in Scripture. What’s wrong with celebrating Jesus’ birth, even though Dec. 25 isn’t mentioned in the Bible? And what’s wrong with having birthday parties for your kids? Or Bible studies? Or ice cream socials? Or potlucks? But on the basis of such objections, how does one object to other feast days? So why do most Christians celebrate feasts (and do a whole lot of other things) that aren’t in the Bible? It’s because they function within traditions. Tradition—and I am using the broadest sense of the term here, incorporating both Holy Tradition (“big-T tradition”) and also customs (“little-T tradition”)—is really just the life of the Church as it’s lived out over the centuries. Over time, as the Church reflected on the major events of Jesus’ ministry, it established feast days to help to cement those events in the hearts of the faithful. And just as one would celebrate the notable members of one’s local community, notable Christians and their lives came to be celebrated, and feasts were established to keep their memories alive through history and to ask those who surround us as a “great cloud of witnesses” for their prayers. And most of all, these feasts were established because of the love traditional Christians have for what is in Scripture, what happened in between what’s mentioned there, and also for what came before and after its depicted events. And while many feasts celebrate events found in the Scripture, none of them contradict what’s in Scripture. After all, some of these feasts are actually older than the New Testament canon itself. The Church certainly wouldn’t have canonized books that contradicted its existing practices. The Orthodox Christian liturgical calendar is so full because life is so full. We have to live life. We can either choose to make most of life secular, having no particular Christian meaning at all (perhaps just trying to be moral), or we can sanctify every day with the wonderful works of God’s ministry among us, as the Spirit has led the Church established and built by Christ Himself. That’s why we have so many beautiful feasts. We celebrate a great and sumptuous banquet of the life of the Holy Spirit in the Church. I am from a faith tradition that celebrates Christmas and Easter and I was well aware that these celebrations did not come from the pages of Scripture. I think that realization was maybe the first step in accepting that there is a legitimate Christian Tradition in history and that my faith would be enriched by learning more about this Tradition. What puzzles me are the people who celebrate Christmas, but not as a religious holiday. Their houses are full of Christmas trees and Santa Claus, but they make no mention of Christmas as being associated with the birth of Christ and their reason for doing so, like the Jehovah’s Witnesses, is that it’s not in the Bible. 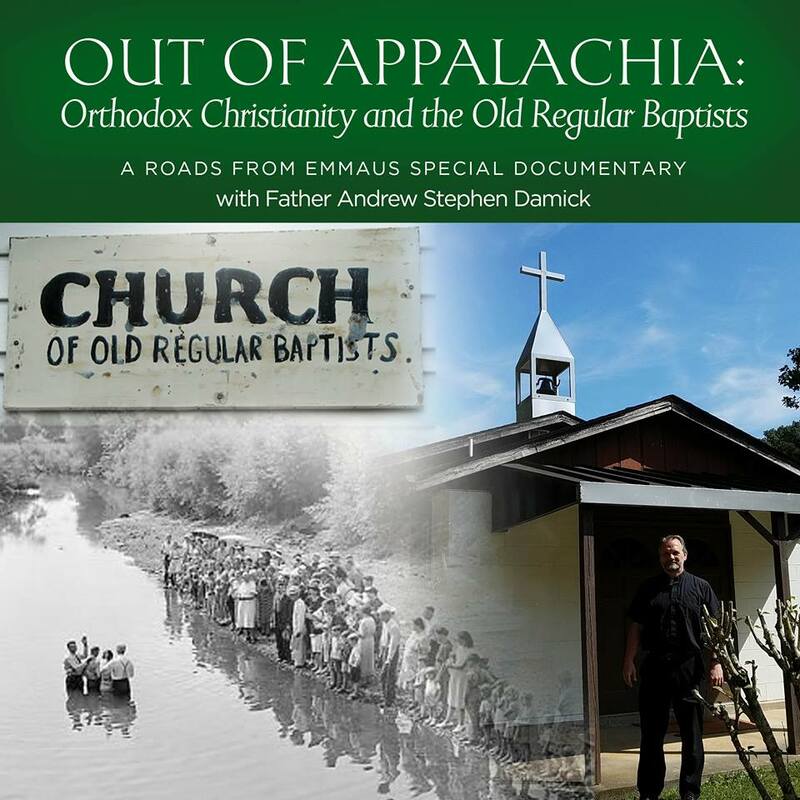 I have been on my path from evangelicalism to Eastern Orthodoxy for a couple years now. I thought you were going to address my largest hurdle keeping me from progressing into the church with full force: feast days for which I have to completely trust tradition for their authenticity – including the Dormition of Mary. Instead (understandably, since not all point can adequately be addressed in one blog post) you assumed that the reader would trust the authenticity of these events. Some of these feast days claim utterly fantastic miracles that leave me wanting for more evidence than just tradition. How can we know all these miracles actually occurred? Is it possible that some of these feast days are built upon fabrications? Do we have to believe these feast days are all dogmatic? Certainly we do in the case of the Dormition of Mary. For what it’s worth, I wasn’t assuming anything. My point was to address the place of festal celebrations that are not explicitly commanded by Scripture, not to get into the nitty-gritty of defending particular commemorations. But yes, certainly, the sources for the feasts you mention are in Orthodox tradition which is not mentioned in Scripture. As for whether the Dormition has been proclaimed as dogma, I am not aware that it has. That does not mean that one should feel free to ignore it or disbelieve it, but that is really the wrong question, anyway. The point is not what one can get away with and still be in the Church, but rather how one accommodates oneself to the Church’s existing life. I don’t think the main issue for most protestants is whether they should only celebrate what is in the Bible (or whether to celebrate anything, since the bible doesn’t command it). I’m pretty sure the main issue is trusting in whether these events actually happened. Did the apostles really teleport to Mary? Did the seven sleeping men of Ephesus really fall asleep and then wake up after a whole century? Did Mary of Alexandria really levitate in the wilderness? When the Church makes these miraculous claims, (these are a few of hundreds) and when the feasts of the Church commemorate these events, a protestant identifies these events which you have described as suspicious at best. If these events, which the Orthodox liturgical life are built upon, are not true, what happens? Honestly, I wouldn’t say that Orthodox liturgical life is built upon those kinds of events, though it does include them. (If it were built on them, what about the time before those feasts were established?) It’s built on the Gospel. I understand why you would choose not to deal with the concern I have in this comment section. Perhaps it would make for an interesting future blog post? So you’re saying that its basically a socially learned behavior to have feasts or celebrations on these days? I love this article its view point is very unbias, and informative. I’m saying that having feasts is part of what it means to be human. And a Christian human naturally will celebrate Christian feasts. Wonderful post, and very well said. We are living a life of remembrance always, so that our history does not become our past, but rather that it always remains significant at present. In secular life we have days of remembrance, for all sorts of things (thanksgiving, Washington’s birthday, tragedies like 9/11, etc)… how much more should we have days of remembrance for events that deal with heavenly matters, that will be remembered forever hereafter. Clearly there is a fulfillment of the Old Testament Holy Days in the New Testament Church. We celebrate the death and resurrection of our Lord as a fulfillment of Passover and the Feast of First Fruits, the coming of the Holy Spirit on Pentecost, the Feast of Trumpets is fulfilled in the Nativity, and the Atonement in our Lord’s baptism. Over the years , as I have tried to allow my heart, mind, and soul to conform to the Church of Jesus Christ one of the greatest helps has been to approach things from the perspective of love rather than reason. Many of the things the church embraces grow from the truth of our love for God. I think it was St. Augustine who said, “By love God can be held, by thinking never”. That does not mean reason and inquiry are meaningless but often times journey’s begun from ‘proof texts’ do not find their proper destination. ” St. Paul wrote Timothy “Now the purpose of the commandment is love from a pure heart” and the ‘commandment’ was that Timothy teach nothing other than sound doctrine. Once I quit asking is this really an historically accurate account, and started asking what about this will help me love God and His holy ones more, the pieces began to fall into place. Out of curiosity, is there any feast (I’ve never heard of one) to commemorate St. John the Beloved Disciple receiving the Revelation on Patmos? I know we have a monastery there but a feast day might be nice. It could also provide an opportunity to add the Apocalpyse to our lectionary. It seems that the period after the Apostles Fast and before Transfiguration, and the months of October and November until the Nativity Fast are a bit quiet on our calendar (although I always look forward to Oct 23rd because on the Feast of St James the Just, some churches use his liturgy, which I love so much; by the way, if you use the traditional rather than the eccentric “reconstructed” rubrics for that liturgy, it’s only noticeable difference is Let All Mortal Flesh Be Silent instead of the Cherubic hymn; I composed an experimental Holy Saturday aervice using it instead of Lenten St. Basil, and was struck by the fact that the audible parts were virtually the same). Humans have a very difficult time admitting that the things they ‘do’…’celebrate’…’habitually observe’…..’ordain’ etc. have no real basis in anything other than the “we’ve always done it that way” mentality. Tradition verses traditionalism. Big difference. There will always be those in churches(and perhaps in charge of such things) that will insist on continuing certain observances merely because grandpa believed in it. And THAT… in many churches trumps everything, like it or not.